There is a certain difficulty in picking just the right images to show off your company, whether it’s a small one-person operation or a multi-million dollar powerhouse. To complicate the process further, sometimes even when you find the right image, it just won’t fit right! 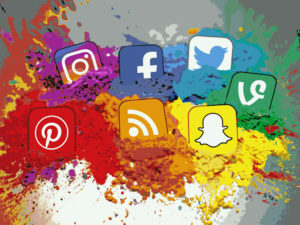 Did you know that each social media engine runs different sizes and has to be optimized differently? For example, Facebook’s profile cover photo (Not the profile picture) should be 851 pixels wide by 315 pixels tall. That’s incredibly specific! It’s not just Facebook that has these strange requirements, either. 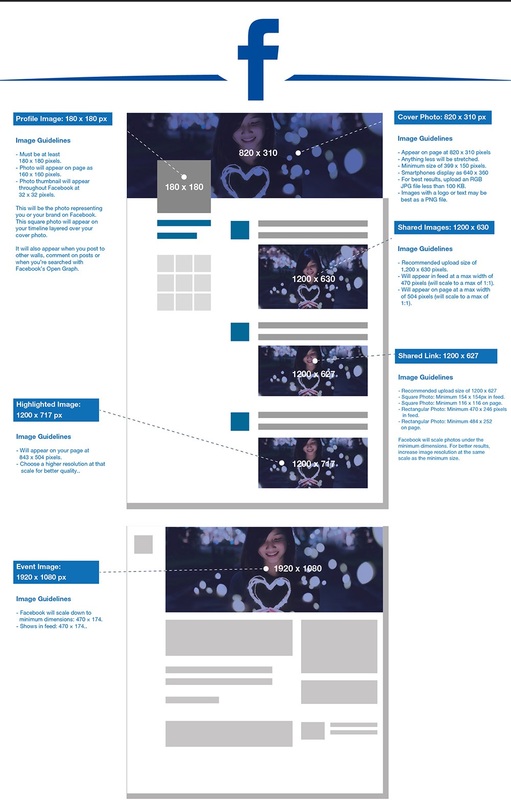 There are picture sizes for ads, for full-page sharing, group photos and anything else you can think of for Twitter, LinkedIn, Pinterest, Google+, Youtube, Pinterest, Instagram, and many others. All of the big social media giants are coded and designed differently. This means that your content needs to be changed to fit each and every one separately, or else it runs the risk of looking poorly on that platform. The text on your images may end up stretched, distorted, or cut off entirely if your image isn’t the right size for its place! 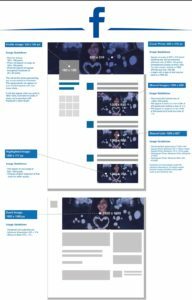 There are several great posts from sites like BuildAWebsiteHub that can help you reference and find the sizes for each type of image on each different social media platform. Please note where the profile picture goes! Any text on the bottom left corner of a twitter cover photo is likely to be lost or covered up. We wrote a blog post some time ago about how to either take your own pictures for your business and social media use, or how to find royalty-free stock images that you can put on your pages. Content can be hard to come by if you aren’t a photographer or savvy with your search terms, but sometimes sites like Creative Commons has a lot of images that can be used, though most of them need to be cited back to the owner. Simply say “Image from X and Y” and you can post it! The Creative Commons site also links a lot of the most popular image stock sites, such as Pixabay, Wikimedia, and the Open Clip Art Library. Once you have a picture and know what size you need, there are tools that are free and can be useful! With these tools, you can crop and resize your images as well as edit them for color, sharpness, or many other features. Please notice that the above guides are for business social media profiles! Personal ones are a little different and the specific sizes can be found here on Wheatmark. 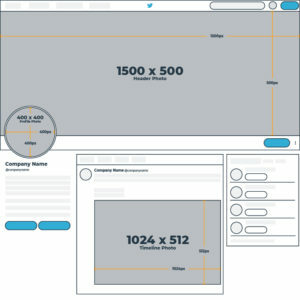 Canva.com is a website based design app that you can use without downloading software. Paint, a Widows-based free utility that comes standard with the operating system. Paint.NET is a downloadable, free program with many of the same features as the other two, alongside many features found in Adobe Photoshop without having to pay for an Adobe subscription. Of course, if you aren’t tech-savvy or don’t feel that you have an eye for photography, we’d be more than happy to help you out! Cal Coast Web Design offers a free consultation for custom quotes starting at $29. All you have to do is contact us here and let us know whatever you might need for your website!